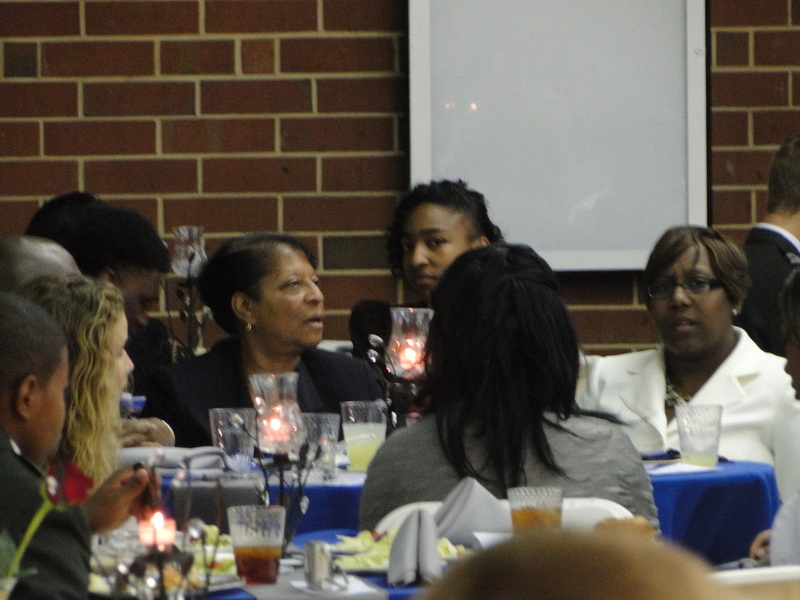 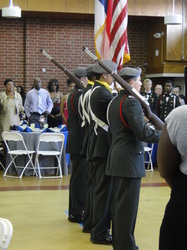 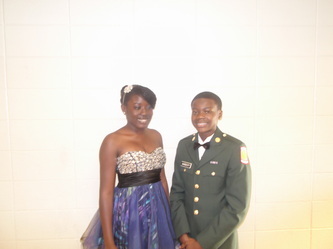 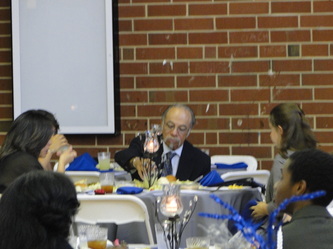 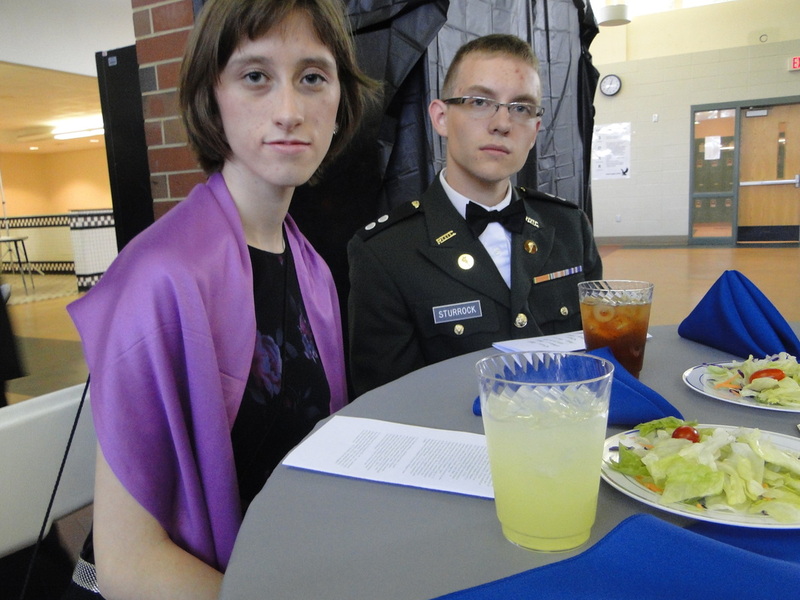 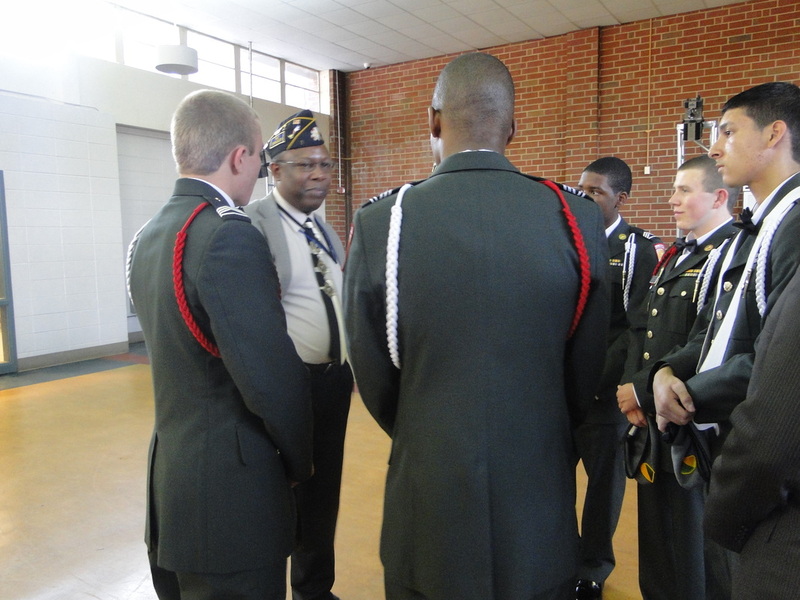 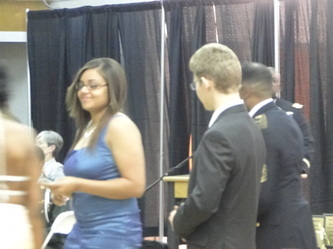 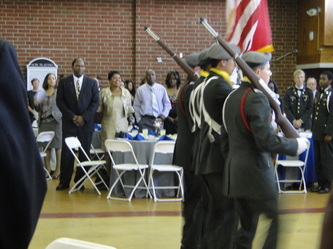 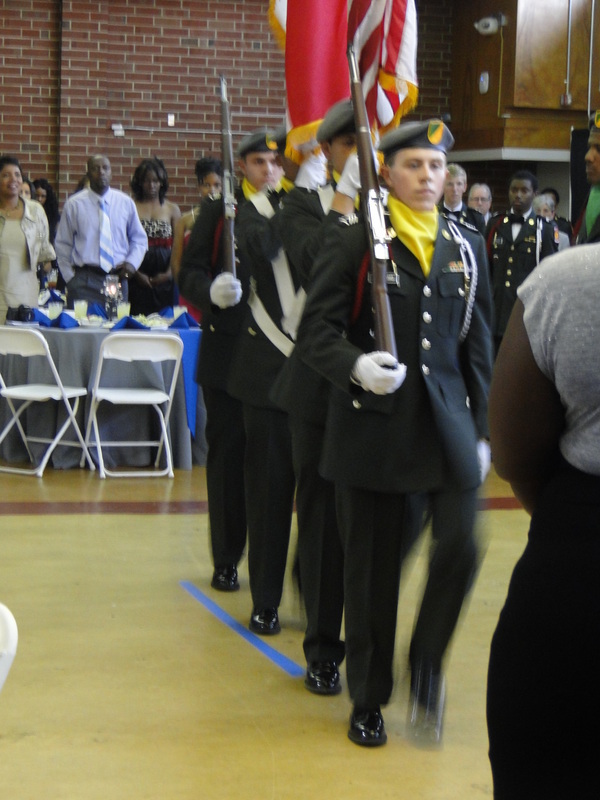 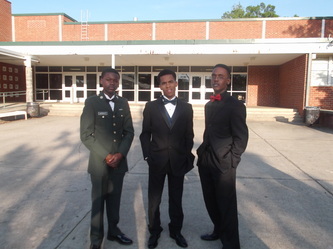 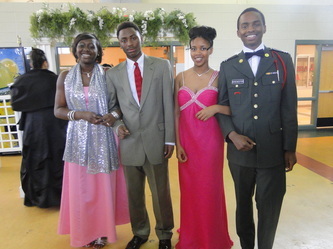 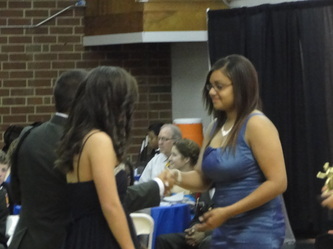 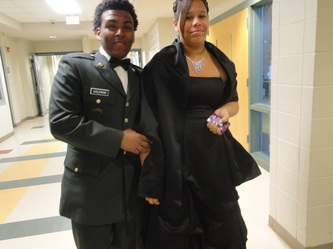 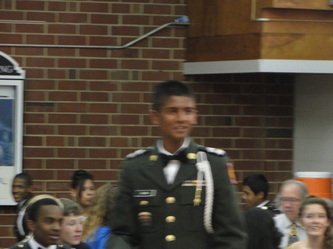 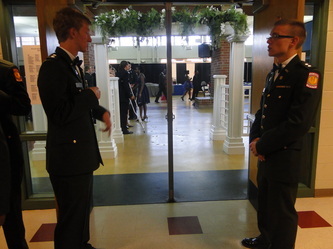 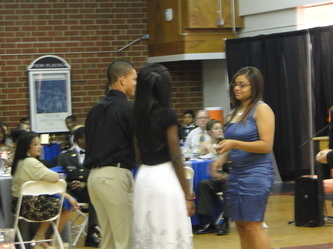 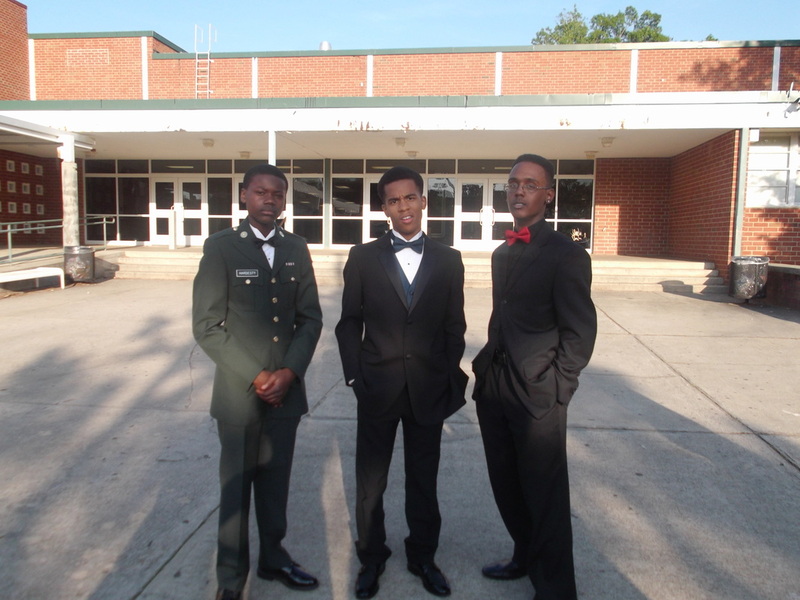 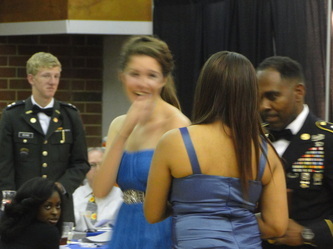 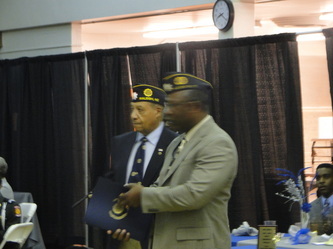 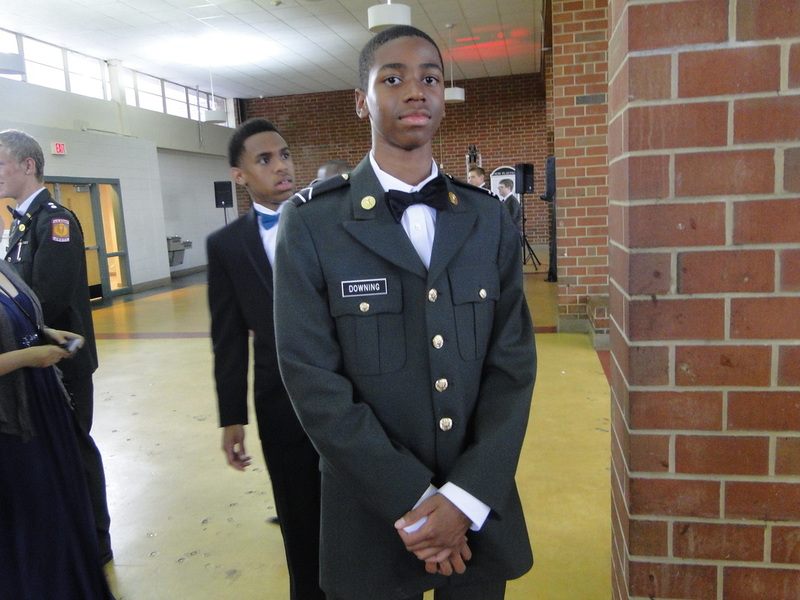 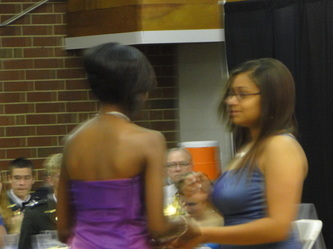 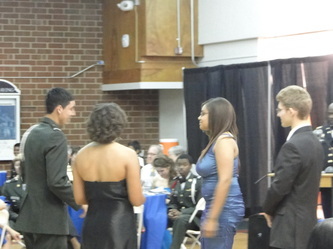 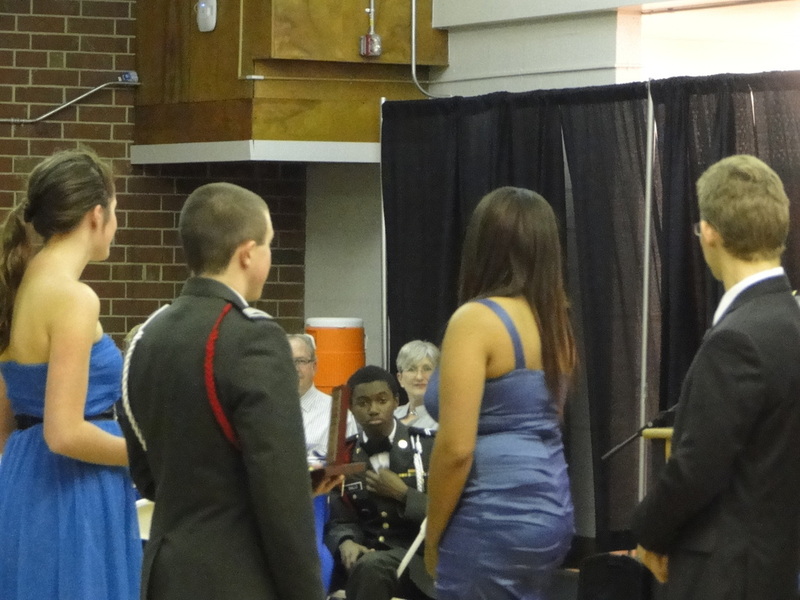 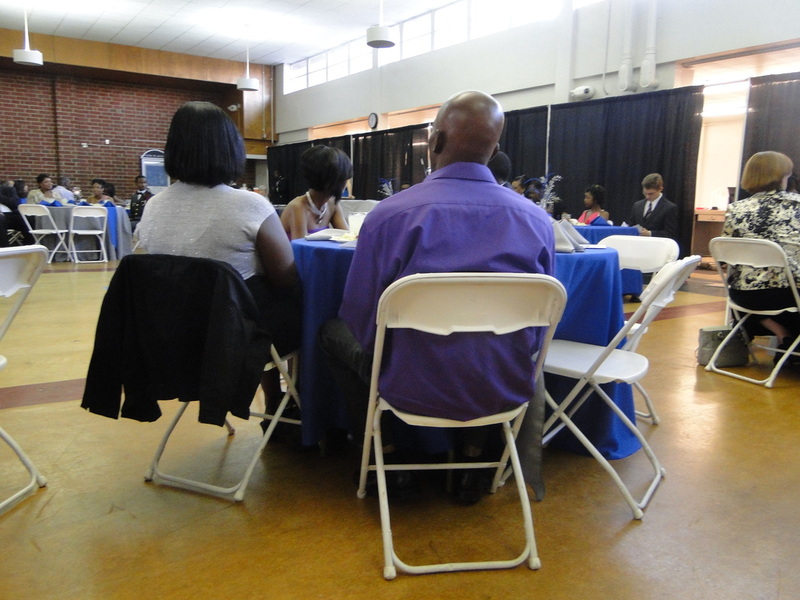 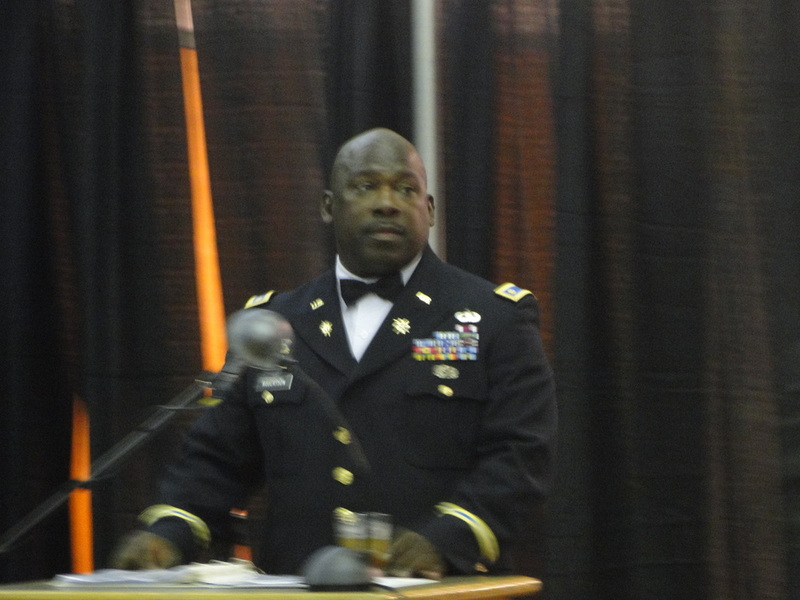 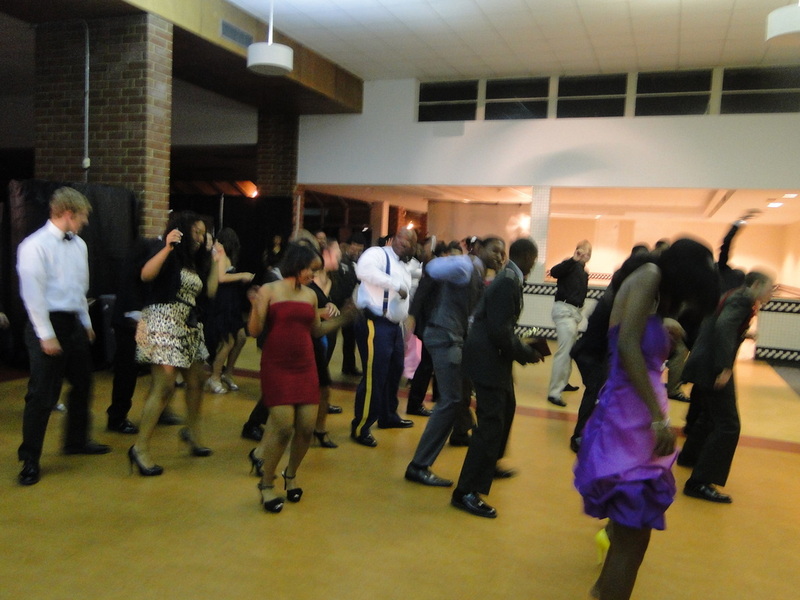 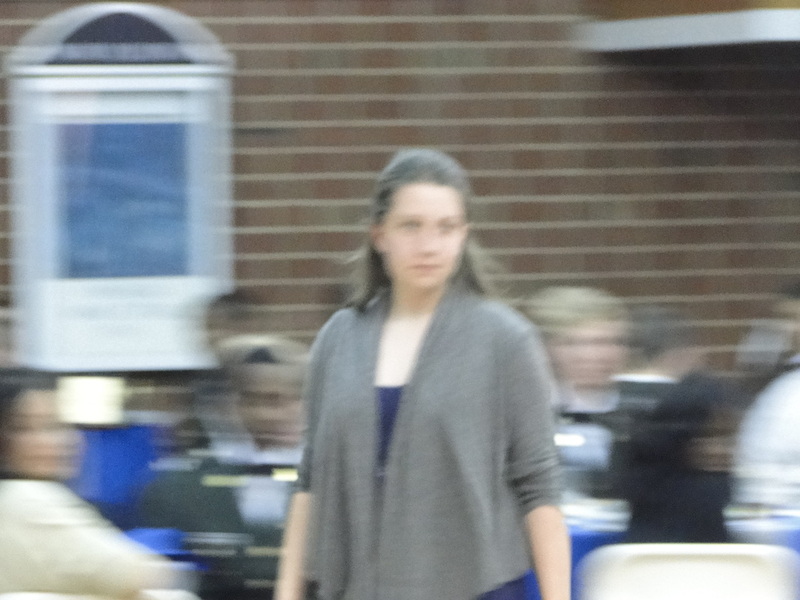 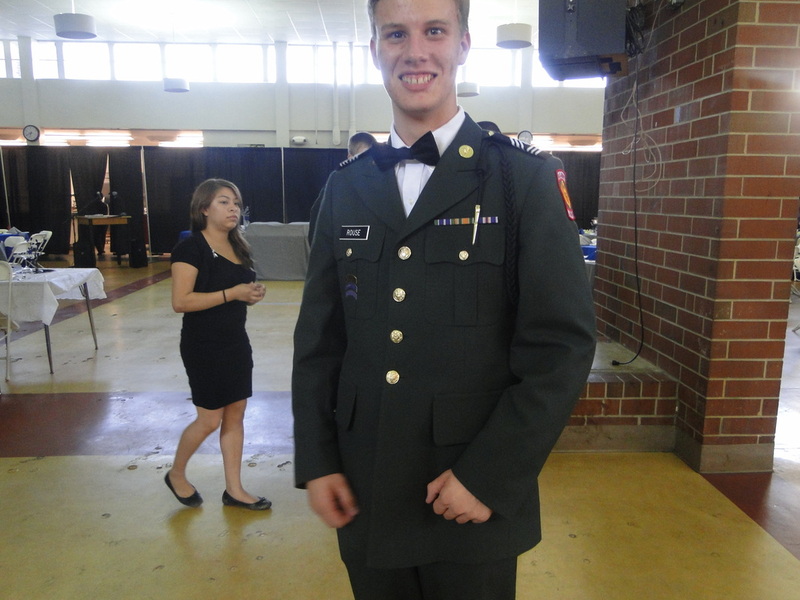 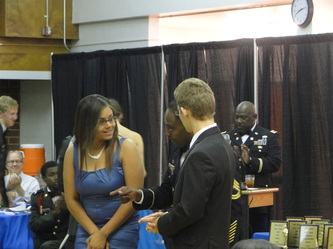 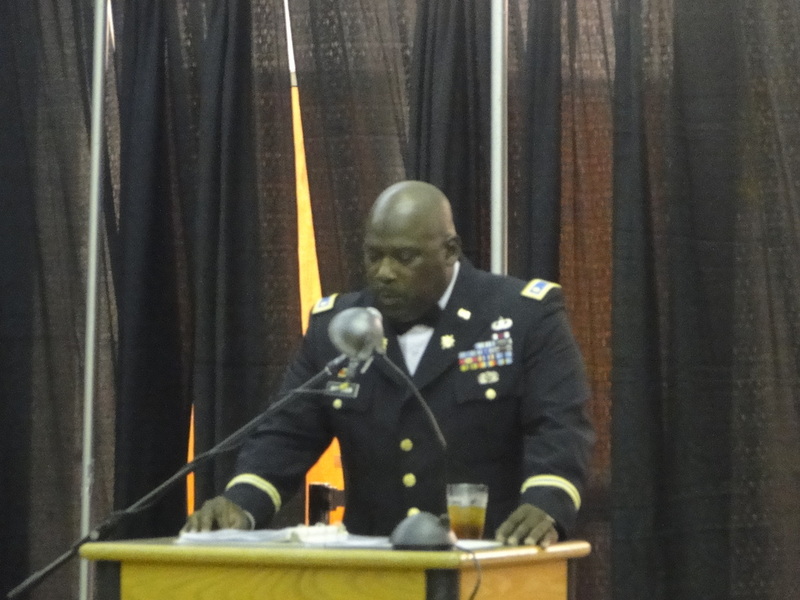 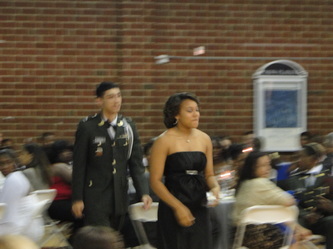 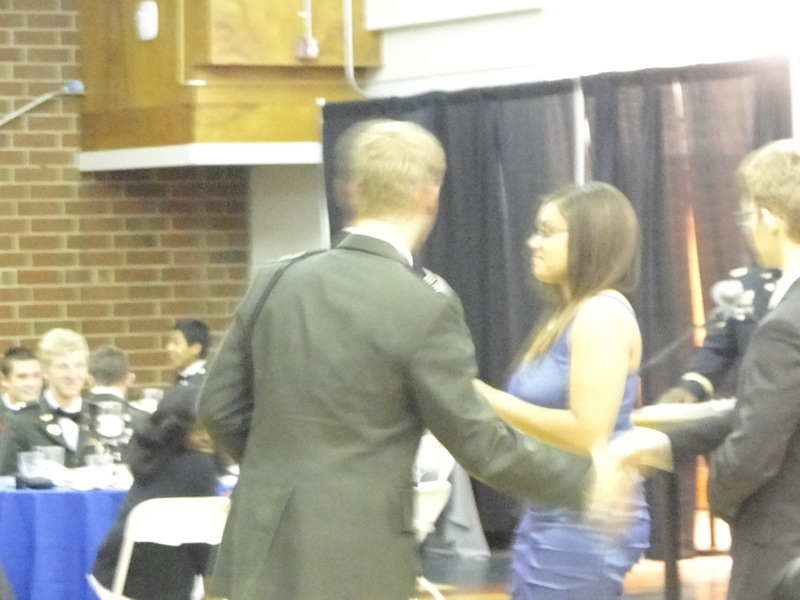 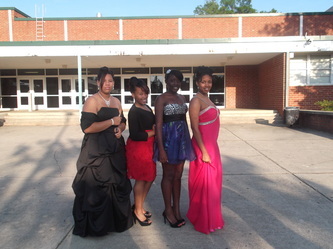 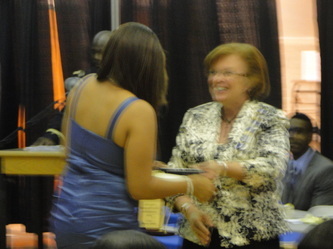 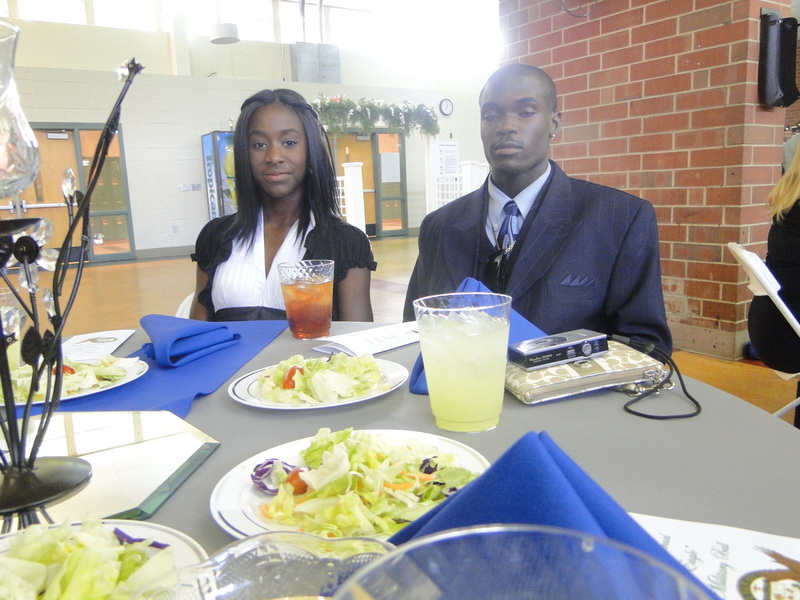 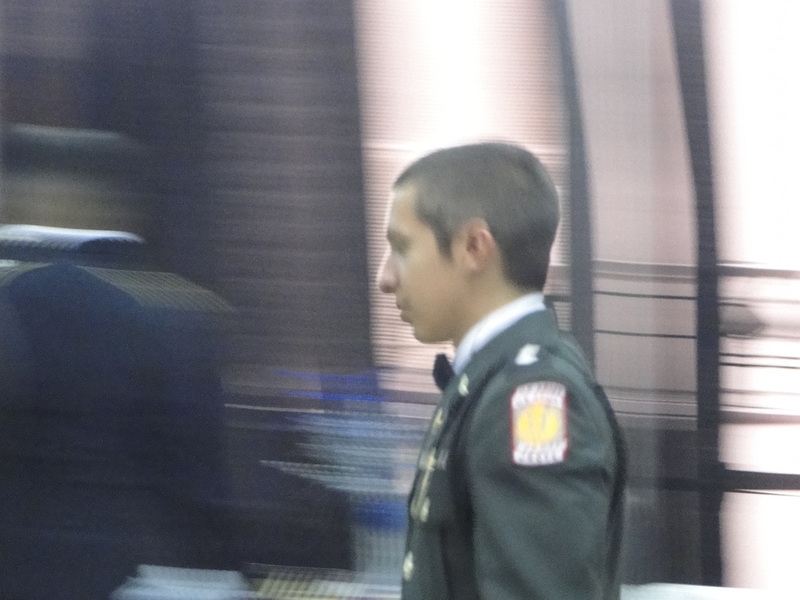 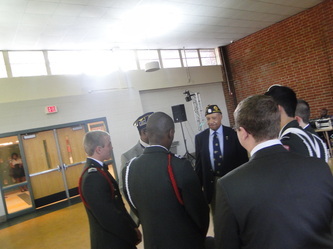 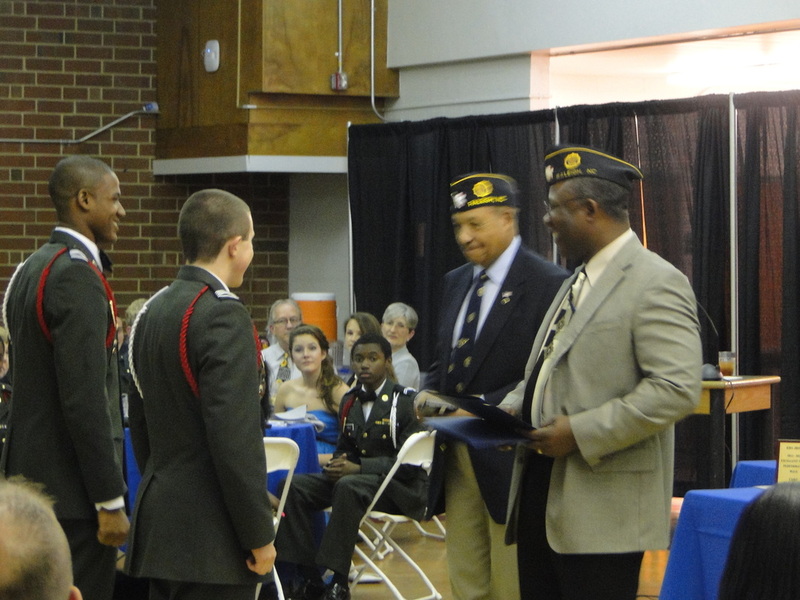 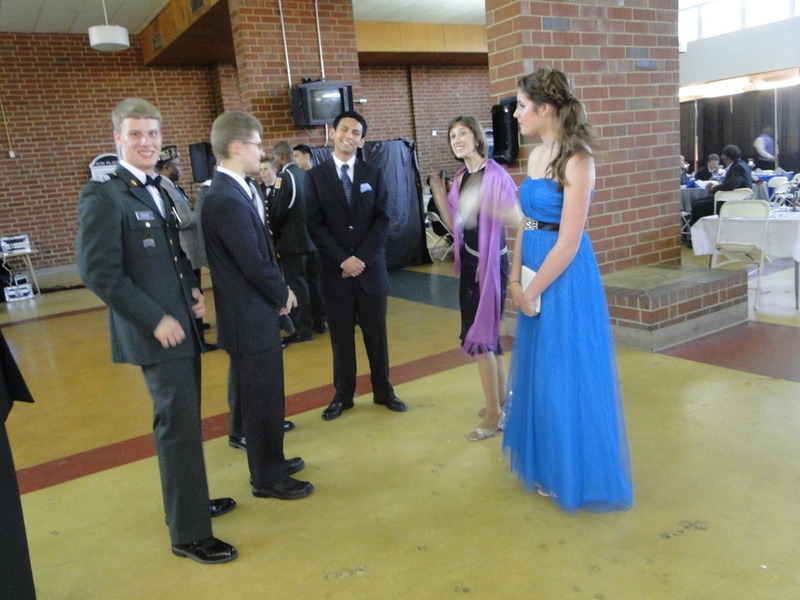 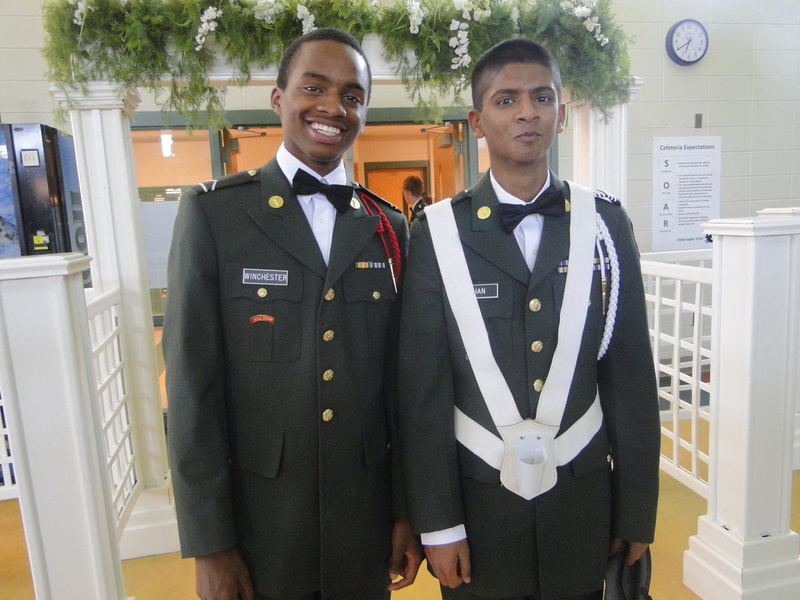 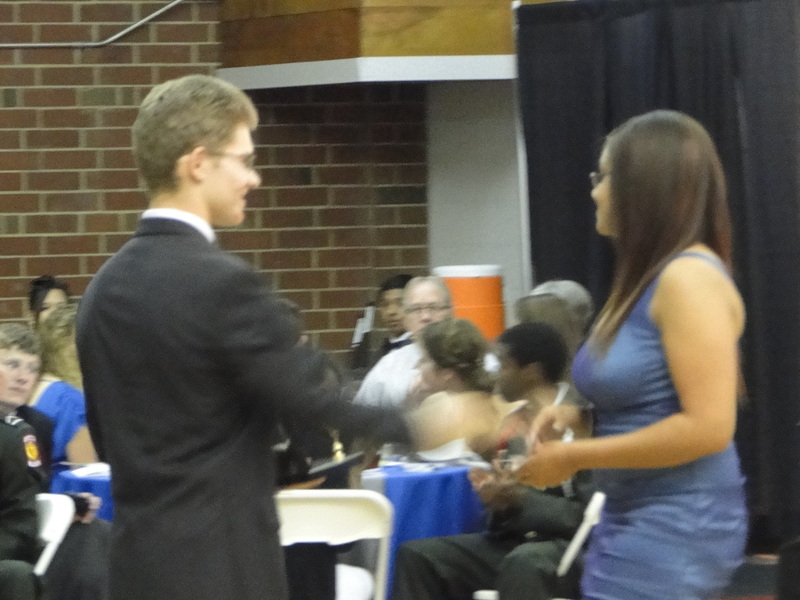 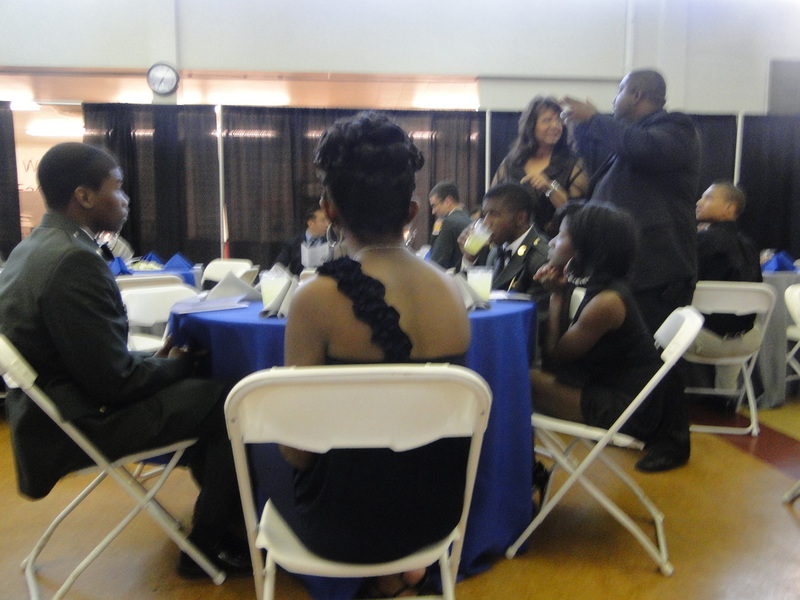 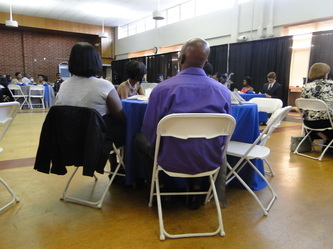 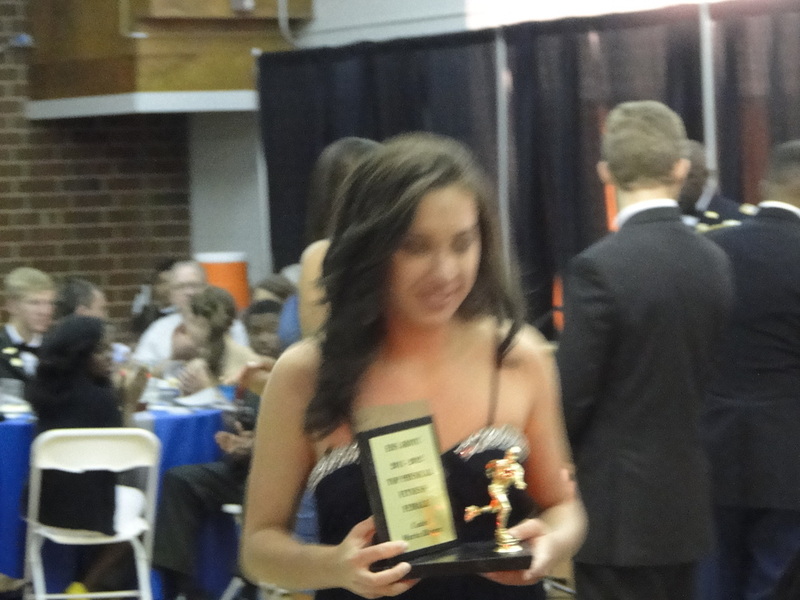 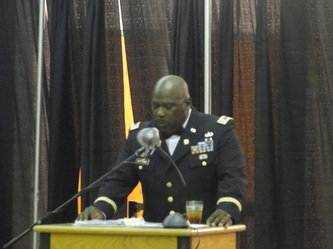 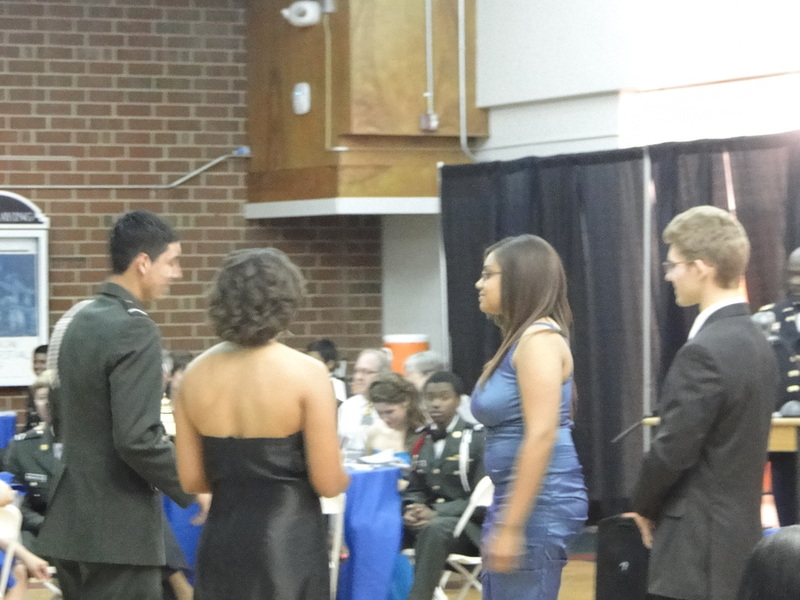 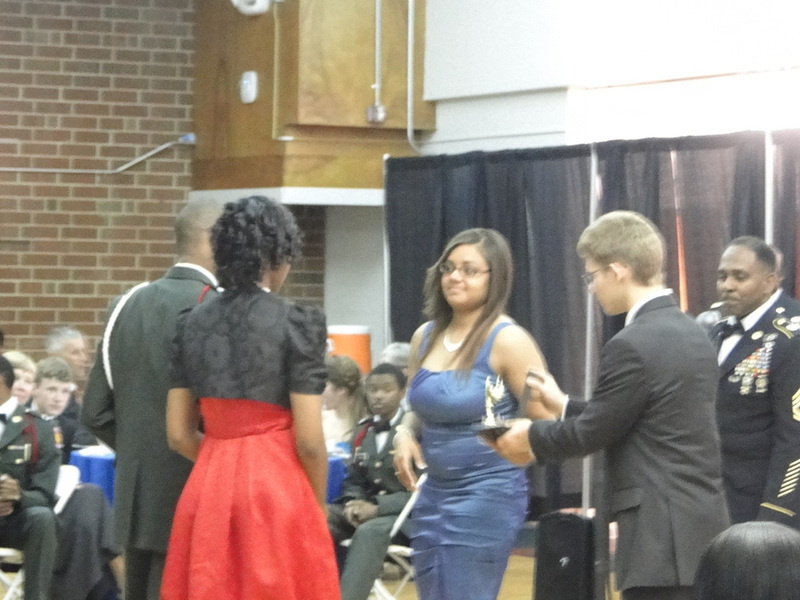 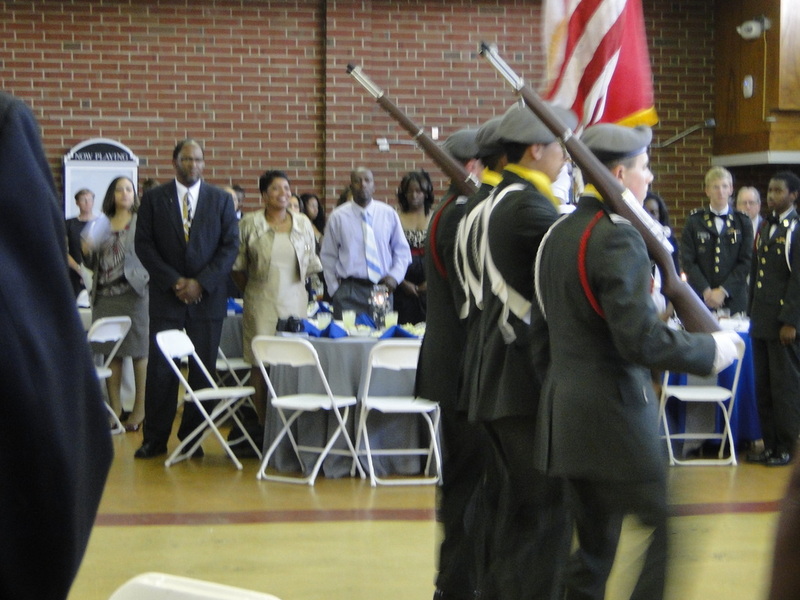 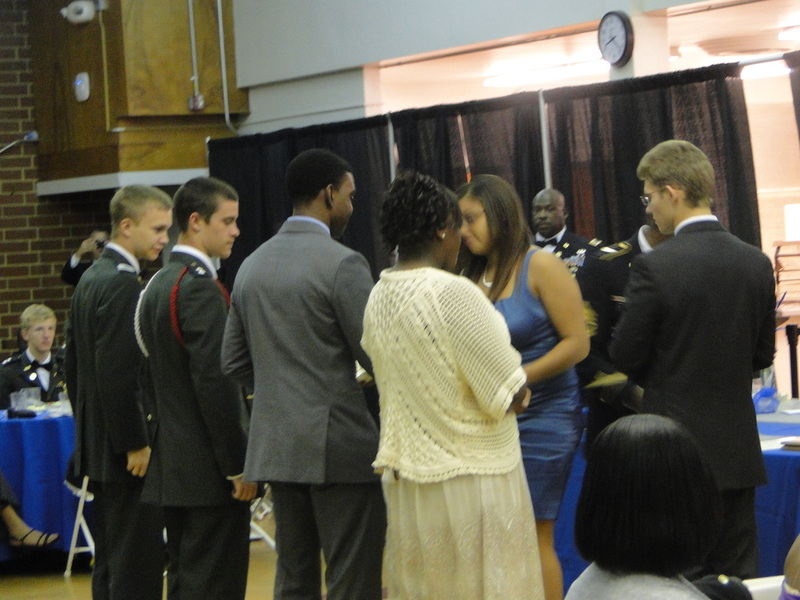 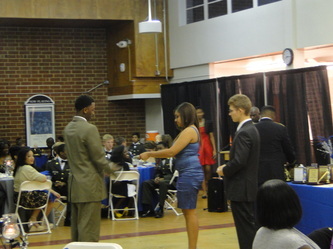 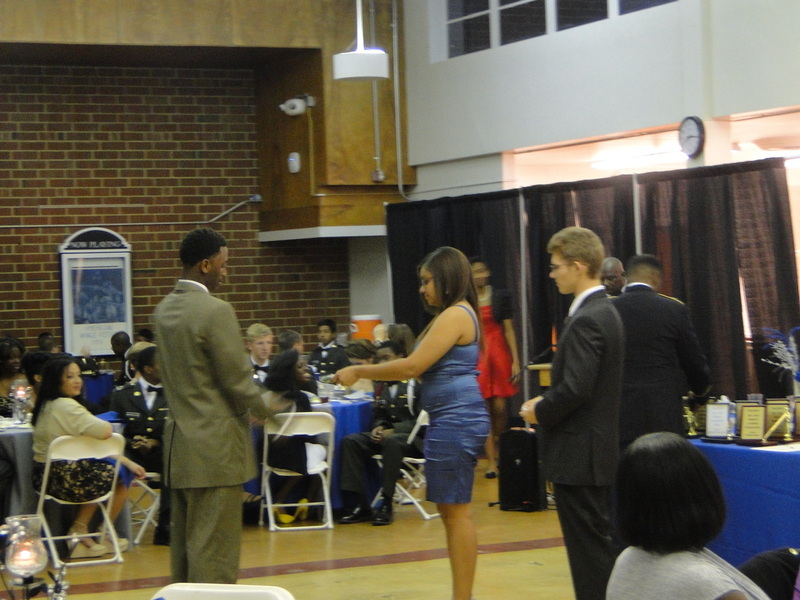 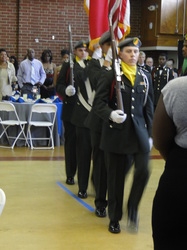 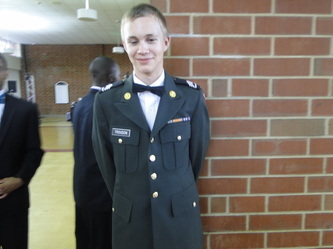 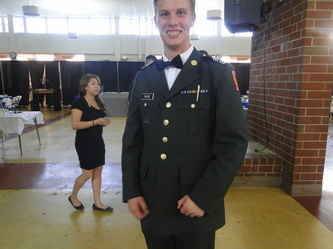 The pomp and regality of Friday’s JROTC Military Ball at William G. Enloe High School may contrast with the usual activities of a high school cafeteria, yet the formalities seemed to come quite naturally to the JROTC cadets. 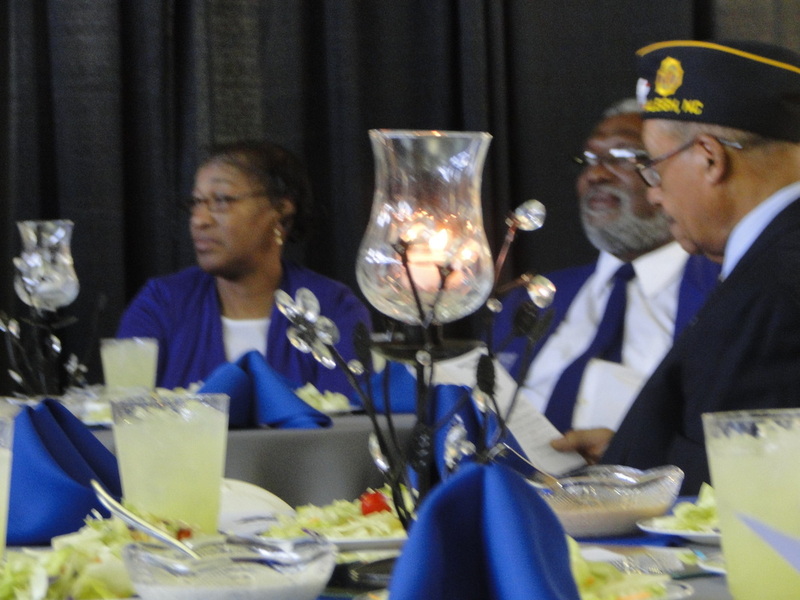 With utmost maturity, they commenced the evening with traditional components of a military ball: presenting the colors and rendering the ceremonial toasts. 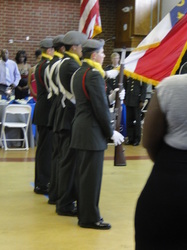 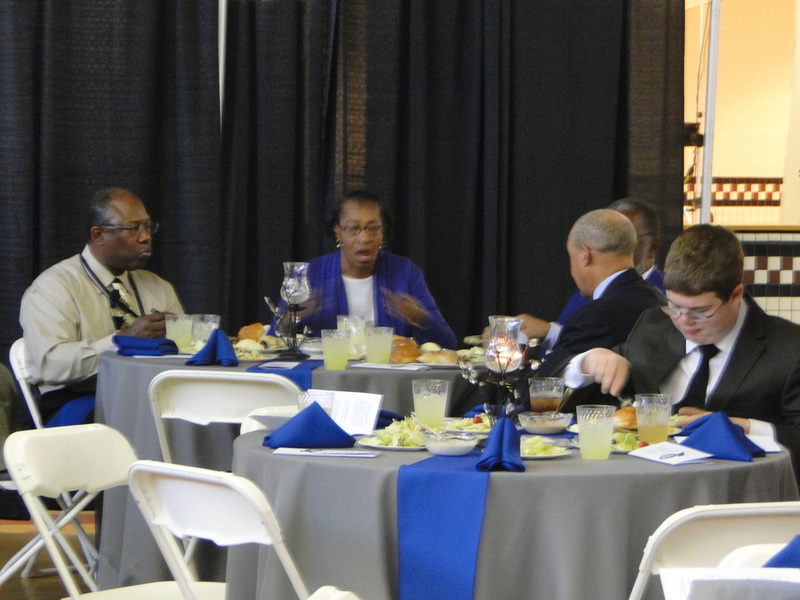 As the cadets stood at attention, wearing either dress military uniforms or ball gowns, the sweet tea and lemonade in their glasses served as the only reminder of their young age. As per tradition, they toasted the nation’s president, the U.S. Army, their friends and family in attendance, as well as fallen comrades and those missing in action. Guest speaker 1LT Naadira Alcedo, US Army Special Operations Command, was a student of MAJ Rob and SFC Williams in Campbell University’s Senior ROTC Program, encouraged the cadets to keep thinking big.